PM Narendra Modi will launch GST tonight in the presence of President Pranab Mukherjee. 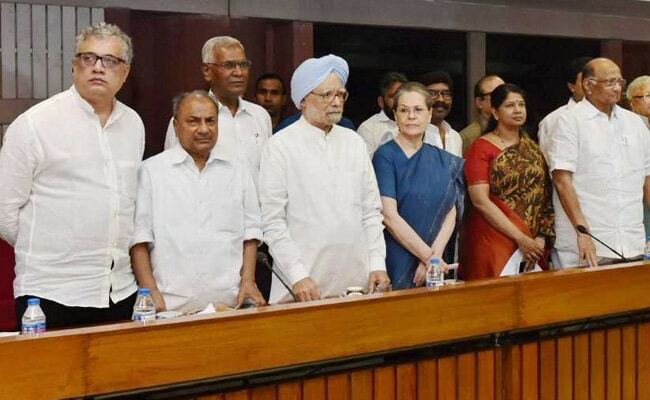 New Delhi: Hours before the mega launch of the country's biggest tax reform the Good and Services Tax (GST) the government said on Friday morning that it hopes opposition parties will reconsider their decision to boycott the event in Parliament's Central Hall. "It is unfortunate because they are distancing themselves from a process of reformation. I hope they will realise it by the evening a rethink and join us in the Centre Hall," said union Minister M Venkaiah Naidu, also thanking "all political parties who have been instrumental and for supporting GST". Mr Naidu said fears of under-preparedness for the massive shift to a new taxation system tomorrow were unfounded. "In any transformation there will be initial hiccups and problems but they are not unsolvable. The GST council is dynamic and will address the problems from time to time." Prime Minister Narendra Modi, the minister said, "is a man of ideas and transformation", and assured that, "Nobody needs to worry, only those who have the habit of evading taxes need to worry." PM will launch GST tonight in the presence of President Pranab Mukherjee. The Congress and several other opposition parties have said they will skip the event, arguing that protests this week by textile traders show that small traders and others are not ready for GST. The "unnecessary hurry to roll out GST is another epic blunder of the centre," said West Bengal Chief Minister Mamata Banerjee in a Facebook post, the first to announce a boycott. The Congress has said it will "not be party to such a tamasha (drama), publicity gimmick," recalling that when in power at the centre it brought in many big reforms without organising such celebrations. The party has also objected to a midnight session in Parliament's Central Hall being used for the event, pointing that such events have been only been used to celebrate India's independence in the past. Mr Naidu seemed to address that when he said this morning, "Earlier, we had political freedom, now we will have economic freedom... It's historic because earlier we had national integration, today we will have economic integration." Parliament's central hall has been fitted with new carpets and a new sound system for today's event, which about 1,000 people are expected to attend, including top political leaders and celebrities like actor Amitabh Bachchan, singer Lata Mangeshkar and industrialist Ratan Tata.